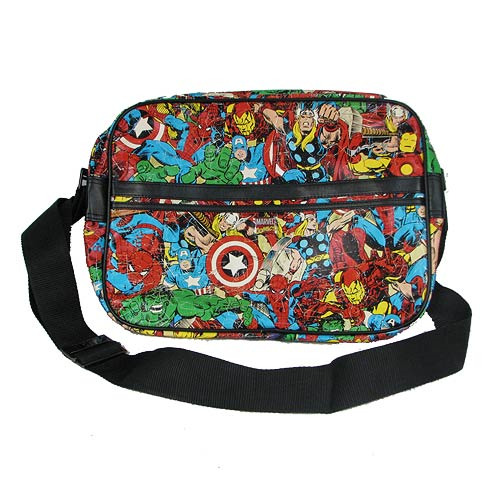 Shopping for Marvel Messenger Bags? Make mine Marvel! The Marvel Multi-Character Messenger Bag features a cool collage of some of your favorite retro Marvel superheroes like Iron Man, Wolverine, Spider-Man, the Hulk, Captain America, and Thor! Messenger bag measures 17-inches wide x 13-inches tall x 4-inches long. Ages 14 and up.